We're the Pacific Northwest's first fully dedicated medical thermography clinic, proudly serving Portland and surrounding areas. We are not selling treatments of any kind, no pills, potions, or lotions, just safe accurate imaging of your radiant body, now even on Saturdays! We take a brief history of your breast and/or body health, noting any current concerns, and submit it with your images for interpretation. Our infrared imaging protocols follow the International Academy of Clinical Thermology Quality Assurance Guidelines of Standards and Protocols in Clinical Thermographic Imaging. Images are interpreted by a board-certified clinical thermologist with over 25 years of working closely with “The Father of Early Detection -The Ultimate Rebel” William B. Hobbins, MD, a pioneer in mammagraphy who also saw and utilized thermography’s great value early in his career. Our interpreting thermologist, Dr. William C. Amalu is in the Bay Area and makes himself available for your doctor’s questions if needed. He is a Diplomate of The International Academy of Clinical Thermology, The American Board of Clinical Thermography and The American Board of Medical Infrared Imaging. In addition to being a member of the organizations above, he is a member of the IEEE Engineering in Medicine and Biology Society, International Thermographic Society and the American Academy of Thermology. Our Clinical Infrared Imaging System is software and hardware designed for hospital use: TyTron C-500IR in partnership with FLIR Systems, cleared by the FDA for use in adjunctive diagnostic screening for the detection of breast cancer, neuromusculoskeletal disorders, vascular disease, metabolic, inflammatory and other neoplastic disorders. We use a secure "intranet" HIPPA-compliant method of direct, safe transmission of your images. Reports are back in about 2 weeks unless you need them sooner. We also offer 48 hr. turnaround service. And we offer a same-day interpretation service option, with the interpreting thermologist on the phone interpreting your images at the appointment. This must be scheduled in advance through our office, not online, and is dependent upon coordinating schedules of all involved. thermography simply senses or “sees” the invisible heat emitted from your body. We're located in the Pearl District on the top floor of Irving Street Lofts in a historic building, formerly a prescription medications warehouse built in 1927, of steel reinforced concrete with high ceilings. Our building is handicap accessible. Easy parking on-street weekday mornings and early afternoons + parking garages 1/2 block & 1 block away if needed. Pregnant and Nursing Welcome Too! A Thermographic score, TH, of each breast, is determined by asymmetries in the breasts from temperature differences (delta T). Pain that other imaging cannot find? Thermography excels in aiding in the diagnosis of elusive pain. 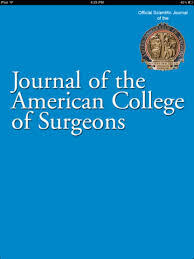 American Journal of Surgery about Infrared Imaging - "Especially Valuable for Women with Dense Breasts"
In a study of the effectiveness of thermal imaging in detection of breast cancer, thermography identified “58 of 60 malignancies with 97% sensitivity” and was concluded to be “a valuable adjunct to mammography and ultrasound, especially in women with dense breast parenchyma." — Gros, C., Gautherie, M., 1980. Breast thermography and cancer risk prediction, Cancer 45:51-56. "Thermography adds a much needed piece to the puzzle, providing risk information and possible early warning that mammography cannot. Thermography can detect physiologic changes associated with cancer while it is still at a cellular level - before it becomes visible on a mammogram." Should Mammograms be Phased Out? "I agree with the Swiss Board—screening mammography should no longer be recommended from an ethical standpoint. Instead, a combination of ultrasound, thermography and physical examination are a much better choice. For certain women, an MRI scan which uses a magnet rather than radiation may also be appropriate." Author NY Times Bestseller "How Not to Die"
"Breast cancer can take decades to develop, so "early" detection via mammogram may be too late.... "early detection" may in effect be really, really late detection." This video is a must watch! It explains the math used in the statistic that mammograms cut the risk of dying from breast cancer by 20%.